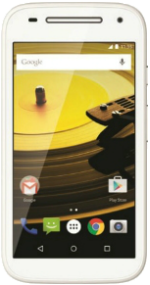 The MOTO E3 is a new smartphone with a 5-inch IPS LCD display with a 720x1280 resolution and 294ppi density. Beneath the surface, there is a Quad-Core processor. In addition to its internal storage, the phone comes with a microSD card slot for memory expansion of up to 32GB. The phone is built with an 8MP rear camera with video recording. In front, there is a 5MP camera to shoot selfies from. 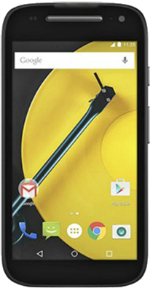 The MOTO E3 has a non-removable Li-Ion 2,800 mAh battery operating within it. Upon availability, the phone runs on the latest Android 6.0.1 Marshmallow OS. Color options available include Black and White.